Thea Fenwick, a skiing prodigy and silver Sporting Champion, faced a very different kind of challenge during 2018 after suffering a serious knee injury. 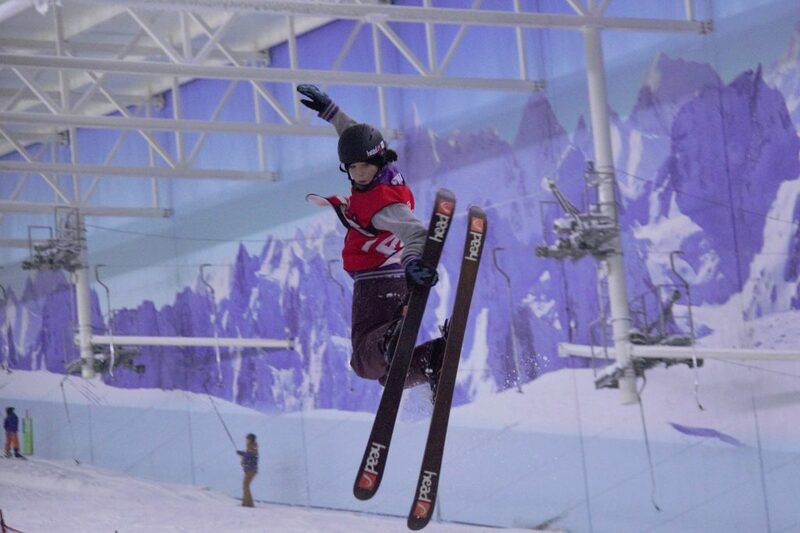 Ahead of the 2019 X Games, we spoke to her about her love for skiing, her serious knee injury, how the Sporting Champions scheme has supported her before and during her rehabilitation and what her aims are for 2019. However, Thea Fenwick is no ordinary 17-year-old. 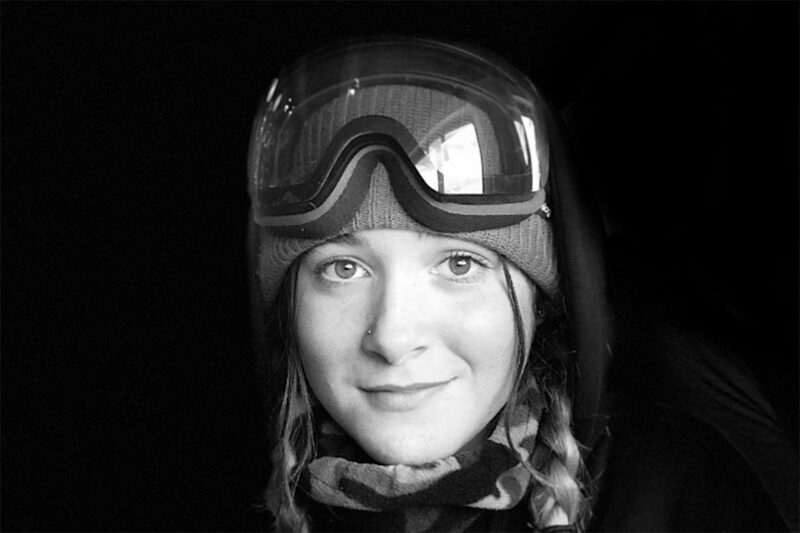 She is one of the UK’s best upcoming freestyle skiers with one clear goal – to represent her country at the 2022 Winter Olympic Games in Beijing. Through the Sporting Champions initiative, Thea receives free membership to Everyone Active leisure centres across the country to support her training, funding to help with competition and kit costs, as well as access to a number of ‘mentoring day’ events. These involve getting advice from some of the UK’s most celebrated athletes and sports experts. “I went down to the last mentoring day and first awards night at Porchester Hall, London, in November and there were so many great athletes there, like Colin Jackson, Steve Parry and Eloise du Luart. They gave fantastic speeches and advice to us – something that I usually wouldn’t have exposure to. That dedication to be successful and reach her end goal, is something that Thea has in an abundance. Her passion for skiing is one she has had since initially taking up slalom racing and then later moguls and slopestyle in 2011. Her focus to specialise on the latter came shortly after, largely because of the satisfaction and thrill she gains as a result of landing daring jump sequences. Thea’s style is unconventional. She has often trained with snowboarders to help develop a unique style and, while she is at the beginning of her freestyle career, her talent has earned her a growing reputation. The 2017/18 season was set to be a big one. Thea harboured ambitions of taking another step towards competing on the world stage and was gearing up for upcoming competitions by including some time on the slopes in Hintertux, Austria in her pre-season routine. “I was actually having a really good pre-season and had learned a lot of big tricks, including the Misty 7 – basically a front flip with two spins – one of my best tricks. “I had gone to train with my old coach for a while and during one of the training sessions, when we were just having a fun day, I went off a small jump, did a little trick that I knew I could do, but I went too far. I landed on a flat surface and my knee just twisted.” It would be months before she discovered the true extent of the damage, but it was more than just a twist. “I had torn my ACL (Anterior Cruciate Ligament) in half, fractured cartilage on one of my bones, I had torn my meniscus and sprained my MCL (Medial Collateral Ligament). “I continued skiing, not knowing what I had done, and just kept pushing through. I wasn’t doing as well as I could – I knew I could do better – and after the regular season was over I went to see my doctor. However, Thea continued to search for her next adrenaline rush, mostly due to not being fully aware of the severity of her injury. She continued to hit the slopes. She continued to land her daring jumps. She continued to compete on a national and European stage. Yes, it hurt but she continued skiing for more than five months after that awkward fall in Hintertux, before she finally stopped and had surgery on the damaged knee. Better yet, she wasn’t just competing, she was still achieving. She would not ski again during the calendar year – a blow that ultimately was just as painful as when she was pushing through the pain barrier. “I know plenty of other athletes that have done the same thing and I have seen how they have coped with it,” she added. “Madi Rowlands, a friend, came back after a serious knee injury. That’s amazing really and I’m looking forward to doing the same too. “Through Sporting Champions, it’s been really easy for me to use the gym regularly. That’s helped a lot with my rehabilitation and upper body work and I do a lot of squats and bridges to build up my leg strength. With 2018 now behind her, Thea’s focus is on a 2019 comeback. A serial winner before her injury, Thea’s 2019 targets include getting “back to how I was before the injury. Had I not suffered the injury, my goal would have been to compete in the FIS Freestyle Ski World Cup in Utah February 2019. “The setback means I can’t do that. I know that I’m stronger now than I was before because of all the training and work in the gym that I have been doing.